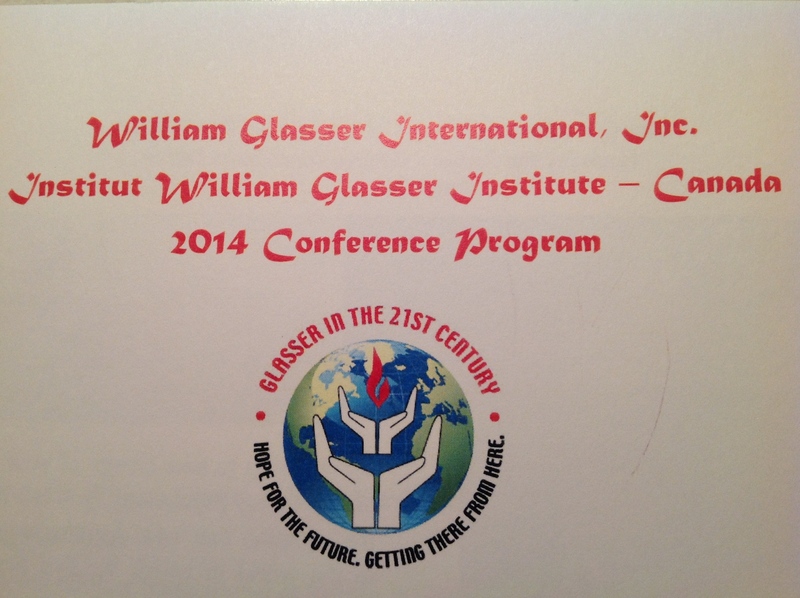 how to live an internal control life | The Better Plan . .
It’s hard to believe that two weeks ago today the 2nd International Glasser Conference was just beginning, and that I kicked off the conference by talking about his just published biography – Champion of Choice. Thanks to Banning Lary, that talk was posted in the last blog. I still have such positive memories about the conference and the time I was able to spend with so many of you. Although traveling can be a hassle and expensive, I am so glad I attended. Thank you to WGI – Canada for such a wonderfully planned event. 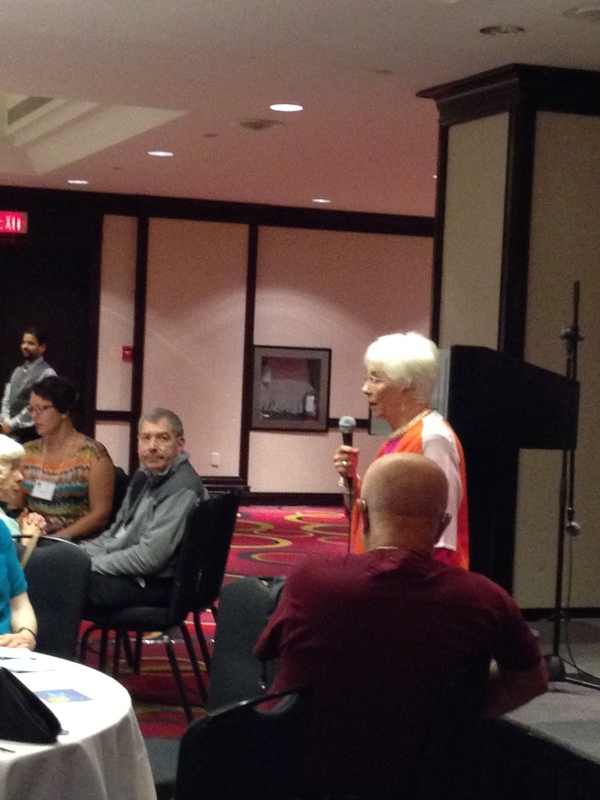 Carleen Glasser speaking at the Toronto conference. During the talk I had people work with a partner and answer a couple of questions. The first invited those in attendance to consider – If Bill were still with us, what question would you like to ask him? The second question asked – What can the organization or individuals do to get the choice theory word out to the public better? Today’s blog is going to focus on the first one and share some of the questions that are on your heart and mind. Some of you will know the answers to some of these questions. If so, I invite you to respond to this post and share your knowledge. Some of the questions are answered or commented on in the biography. If so, I will indicate that. And some of the questions we can only wonder what Bill might say. The questions definitely invite us to think and reflect. What would you suggest that we do to promote choice theory in education and to get it into all the schools? How can RT/CT help understand autism? What would you like to say that you’ve never said before? Which components of the choice theory framework are the most important? What do you still want to accomplish professionally? What do you wonder about currently? If you were a politician, what would your first project be? In looking back, would you have used other ways or methods to further your ideas? You seem uncomfortable with religion, but have you ever had, or come close to having, a spiritual experience? Was it you or your ideas that had the greatest influence? When working with young children who find it extremely difficult to verbalize, or even truly understand their emotions, what successful approaches can be implemented to assist them in terms of their behavior choices? What other career would you pursue if you had your time over? What do you think about sexual addiction/compulsion? What has brought you the most joy in your life? That last question is a great one to end on. As I said at the outset, some of you have great responses to certain of these questions. I encourage you to take a moment and share your thoughts with the rest of us. One thing the questions do is remind us how much we miss Bill and how much we wish he was still with us to answer the questions himself. Toronto represented the first international conference without Bill and it will be interesting to see how his ideas move ahead on their own. Of course, his ideas are not alone. They aren’t orphans. His ideas have us to care for them and proclaim them.